This product has been retired. When existing stock is depleted, we will not build any more except by special arrangement. 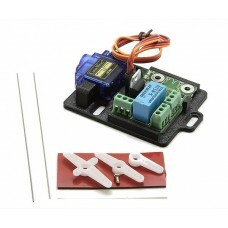 Each kit comes complete with the fully assembled control board, servo, hardware, throw wires, and mounting bracket. 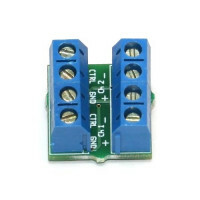 A Crossover Kit allows you to control two turnouts simultaneously using a single control board (-1 and -2 versions only). This kit includes everything above plus an extra servo, Y-cable, and hardware. 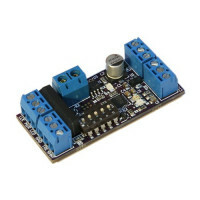 The Control Board Only option is available if you want to provide your own servo and hardware. With a little extra circuitry, MRServo can be made compatible with most Digital Command Control (DCC) stationary switch machine decoders. 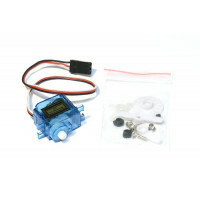 See Driving MRServo from DCC Accessory Decoders. Need a slower or longer throw than the conventional MRServo design offers? 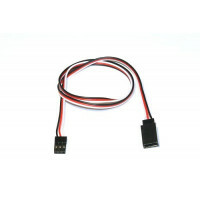 We are able to customize the MRServo software to some extent and can provide custom-programmed units for a small fee. Email us and let us know your requirements, and we will be in touch about what we can do. While I’m still a firm supporter of the tried-and-true industrial foam tape method we’ve sold for MRServo servo switch machine mounting since the beginning, there’s always room for improvement. 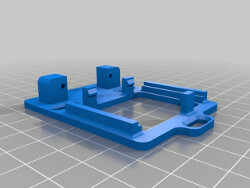 Several customers have asked about alternate, mechanical mounting methods, and there’s definitely places that would be useful. I always have a machine or two that keeps getting knocked loose as I accidentally catch the wire with a tool, or sometimes a spot on the plywood that just refuses to adhere well. The “conventional” solution would be to have injection molds made, and then have a run of several hundred or thousand parts produced. This is obviously expensive for us, highly speculative that somebody will actually buy them, and beyond what the meager profit margins on servo switch machines justify. 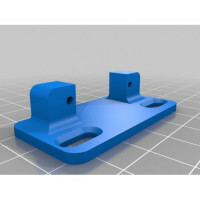 Fortunately, we live in an absolutely amazing time in terms of manufacturing processes, and nothing is more exciting right now for manufacturing complex plastic parts than 3D printing. 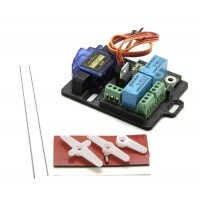 MRServo is a simple, cost-effective solution for adding remote turnout control to your layout. While MRServo works in a wide range of turnout control applications, each layout presents its own unique set of circumstances. Below are answers to some of the most frequently asked questions we have received from modelers using the product. If you have a question not answered here, please contact us and we would be happy to help. Ever wondered how electronic products are manufactured? 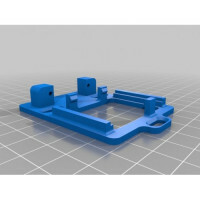 In this post, we give you a glimpse into the process we use to manufacture the MRServo slow motion turnout controller. While the techniques are vastly simplified from that used by high-volume electronics manufacturers, the same basic steps still apply. We always like to see what sort of tips, tricks, and clever uses our customers have come up with for our products. I thought I’d take a minute to pass along a couple recent uses for MRServo that customers have shared with us. Using lightweight extruded foam as a layout base has become pretty popular in the last few years. It’s lighter and significantly cheaper than the traditional 3/4″ plywood, and much easier to sculpt into terrain. 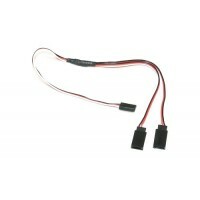 Unfortunately it presents some challenges in mounting switch machines and the like. 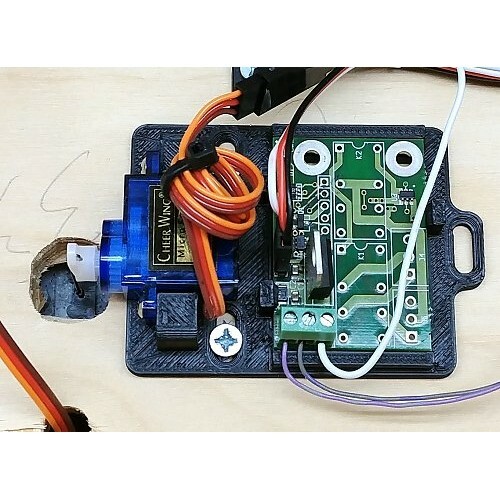 Dennis from the UK has worked a clever method of installing the servos through the foam. It also has the side benefit of being not significantly wider than N scale track, making very tight installations (such as in yard throats) possible. Take a look at his mounting method on his website. Moving up to the larger end of the traditional scales, our next clever use is in 3-rail O scale. Bob Walker started with a Lionel FasTrack manual switch, and connected a a MRServo-2 with a 49MHz RC car radio to make a radio-control version. The MRServo was customized to have full throw of the servo, rather than our typical throw suitable for the suggested mounting. It’s connected to the radio’s outputs via another small relay, which provides the input signal for the MRServo board. Bob sent along a few pictures of the system in action, which I’ve posted as a PDF. Eventually he’s intending to upgrade the system to Zigbee radios, which should provide the ability to radio-address virtually an infinite number of switches. If you’ve got something to show off, send us some pictures and a quick write-up at support@iascaled.com. We always enjoy hearing from our customers, and if you’ve got a good tip, there’s a pretty good chance you’ll be featured in a future blog posting. Ever wanted to automate the turnouts on your layout? Maybe you have some that are hard to reach? Or maybe you have a hidden staging yard? Do you model a modern CTC-controlled subdivision and want to give your dispatcher realistic control over the turnouts? Or maybe you have a multi-deck layout and other switch machines are too bulky to sit below the upper decks? 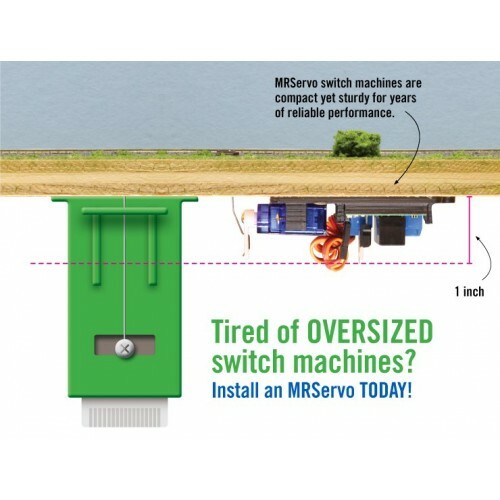 No matter what the situation, MRServo is a cost-effective solution! A couple weeks back, I removed the old staging yard from my layout in the process of tearing out the old to make room for my new layout. I didn’t need it for the new layout, so we decided to repurpose it for writing an article on complex turnout control using MRBus. It was built ten years ago, long before MRServo was even a thought in my mind, and was consequently powered with a competitor’s large green switch machines. I’ve gone entirely to MRServos now for the new layout, and we’re obviously going to try to show them off as part of any article we’re working on. As we were installing them, it occurred to me that it might be nice to show folks how to reliably install MRServo, step by step. The instruction sheet covers this all, but sometimes a picture really is worth a thousand words. Once you get the hang of it, it’s quite easy and goes quickly.